omega-6 fatty acid, conjugated linoleic acid. Numerous clinical trials have been performed on Nigella seed with Nigella oil being studied in support of gastrointestinal support, immune support, joint care, cognitive function, skin care, and metabolic support. Dietary supplements like Thymocid™ are not intended to diagnose, treat, cure, or prevent any disease. Please keep in mind that statements may not be applicable in all countries. Claims made on this site are specific to Thymocid™ and make no reference to finished products. Consumers are recommended to check with local legal counsel and/or healthcare professional(s) before making any purchases of products and/or services from our finished product partners. Representing the natural spectrum used in traditional medicine for thousands of years, Thymocid and Nigella sativa are supported by clinical trials with a recommended dose of 500-1000 mg/day. Nigella oil has been studied in support of gastrointestinal health, immune support, joint care, cognitive function, skin care, and for metabolic support. 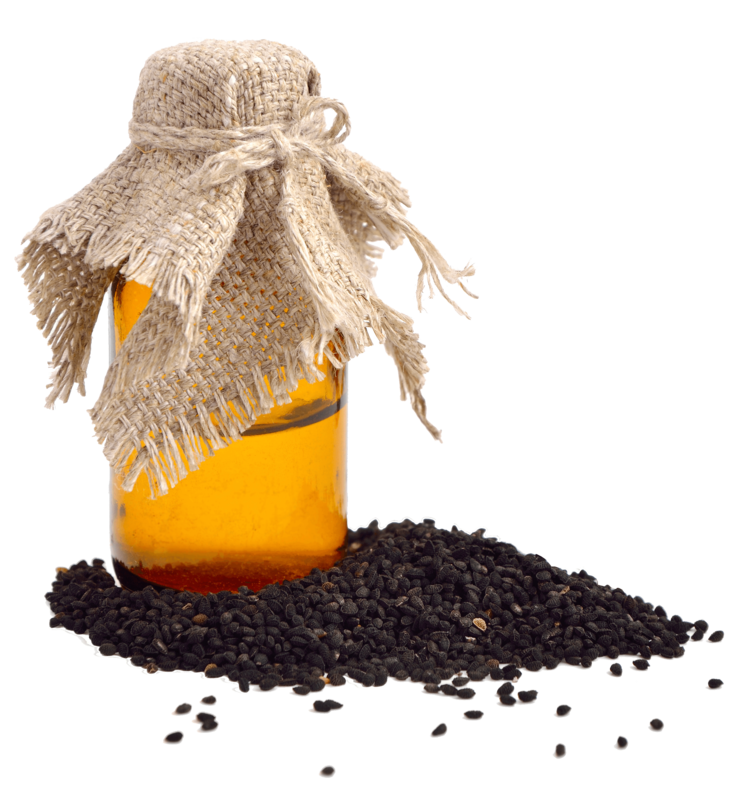 A randomized, double blind, placebo controlled trial (n=70) found Nigella oil improved blood pressure. A randomized, double blind, placebo controlled trial found that the seed oil fraction significantly reduced both systolic and diastolic blood pressure in a dose-dependent manner, and also reduced total and LDL-cholesterol levels. Proprietary cold pressed and gravity filtered Nigella sativa seed oil for premium clarity, color, and stability – that means no heat or solvent processing. Contains thymoquinone and more than 50% of the essential omega-6 fatty acid conjugated linoleic acid. Available in organic, CO2 extraction, cold pressed, conventional, and water extraction. Also ask us about Thymocid+.